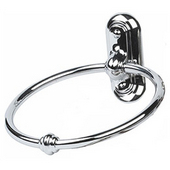 Towel rings are the ideal solution for hanging bath linens out of the way as well as adding a flair to you bathroom decor. 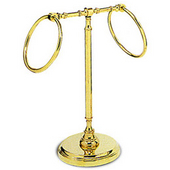 Available in many sizes, brands and finishes there's surely a style to match everyone's taste. 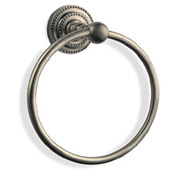 Allied Brass offers a great selection of towel rings constructed from stainless steel making them as durable as they are sleek and attractive. Choose from freestanding and wall mounted styles to complement your existing bathroom decor.